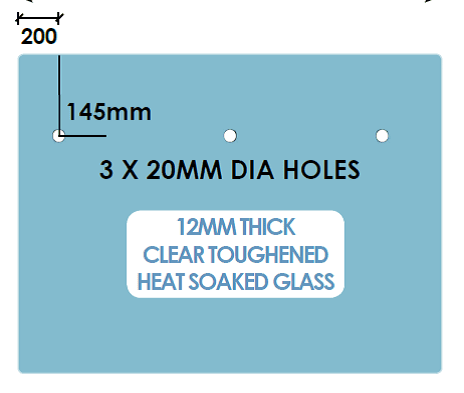 1400mm x 970mm x 12mm Toughened Heat Soaked Glass Balustrade Panel With 2 x 20mm Dia. Pre-Drilled Holes For Handrail Brackets. 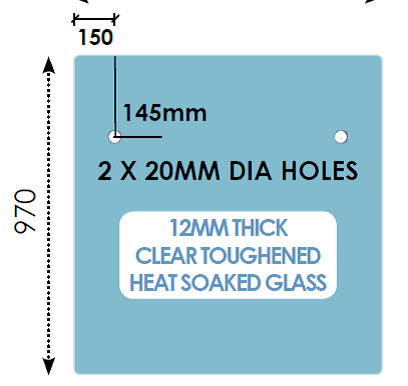 1550mm x 970mm x 12mm Toughened Heat Soaked Glass Balustrade Panel With 2 x 20mm Dia. Pre-Drilled Holes For Handrail Brackets. 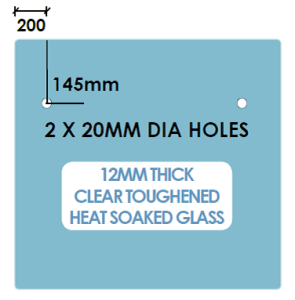 1250mm x 970mm x 12mm Toughened Heat Soaked Glass Balustrade Panel With 2 x 20mm Dia. Pre-Drilled Holes For Handrail Brackets.